It's cold outside! 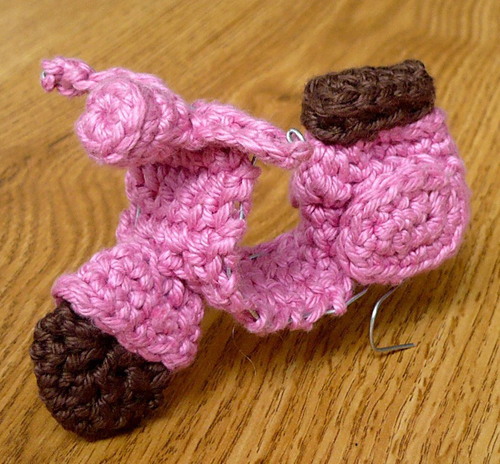 Crochet yourself a scooter. For $2 you can download a PDF pattern to make yourself your very own little mini crocheted scooter. This entry was posted in Crafts by Tracy. Bookmark the permalink.